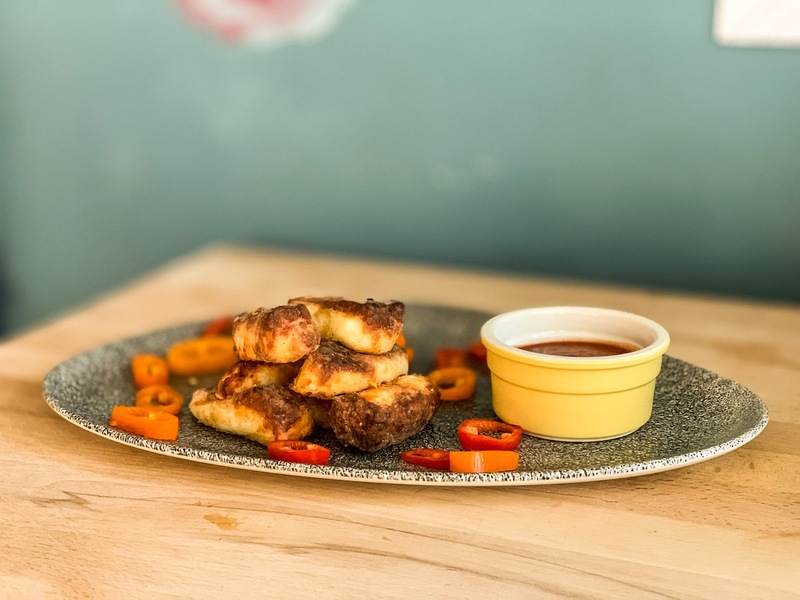 If you're anything like me you'll know just how amazing Halloumi Fries are, they may not be so healthy you can eat them every day but it's January, it's dark and we need some home comforts whilst still trying to be a little bit healthier. 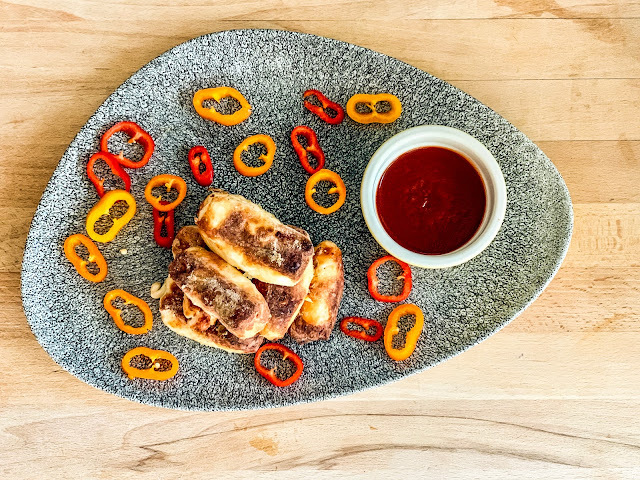 This Halloumi fries recipe is different because it's all done in an air fryer, it uses 1 cal oil and it's perfect for our vegetarian friends, in fact, I can confirm it because I tested the recipe just this week on 2 ladies who aren't veggie and one who most definitely is. These air fried Halloumi fries may just change your life and they only take 15 minutes to cook plus a couple of minutes of preparation. 2 tablespoons of the flour of your choice, I used plain flour but you could use spelt or even Polenta which would definitely give that crisp outside. 1 portion should quite easily feed 2 as a starter or 1 as a main course. If you don't have an air fryer yet, they're so much cheaper than they used to be and they're incredibly versatile, especially if like me, you're often cooking in single portions, I've had a quick look on Amazon and this Tower air fryer is currently just over £30, it's not quite the same as mine but looks around the same size. I've made a few different batches of these Halloumi fries and I definitely think that thicker works better than thinner when you're air frying and I also think you don't want to cram the basket too full of they're just going to stick, whatever you do though and however you cook them, I'd love to hear from them if you try the recipe. Planning the future, it all starts today.